1.The type of solid rigid centralizer should be used in areas where a good primary cementing job is required, including deviated and horizontal wells, liner overlaps, and shoe joints. 2.They are suitable for either cased or open hole. 3.They are made of high tensile, solid, cast aluminum, for shock, impact, and corrosion resistance. 4. Vane ends are beveled 30 degrees relative to casing centerline to provide excellent lead into restrictions, and reduced drag when running into hole. 5.Wide vanes distribute load from the casing string into the wellbore without gouging. 6. 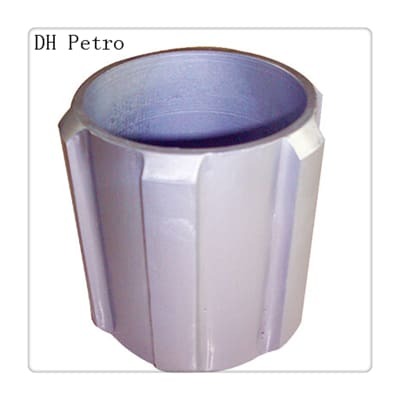 It is made of softer material than wellhead equipment to avoid damage to the wellhead when running through. 7.Has provided excellent results in extended reach and horizontal applications. 8.The design of the vanes keeps running forces at a minimum. 9.Any special sizes or combination can available on request.